We get it, you&#x2019;re busy and you probably don&#x2019;t have the time to read books to learn. But what if you can still acquire knowledge but without the need for text-laden books? Yes, a book of crossword puzzles will make that possible! Essentially, it cuts out the juices in a text and presents it in a way that would rouse your curiosity. It&#x2019;s a cool book to have so secure a copy now! Solving crossword puzzles and Sudoku puzzles bolster verbal communication skills and scientific methods in problem solving. Puzzle Crazy puzzles help to improve memory, brain function and the speed of thinking and talking. With hundreds of publications we believe that our puzzles are a critical tool that can help to improve mental functions and in fact improves verbal-fluency scores. 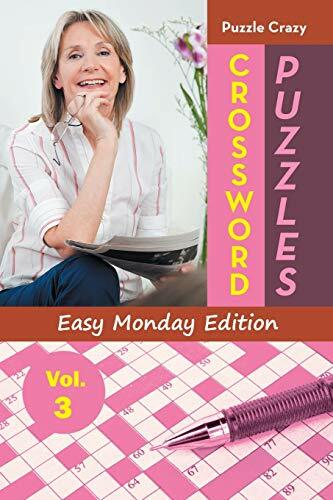 Above all doing crosswords puzzles and Sudoku Puzzles should be a relaxing and with easy, medium and hard to difficult puzzles in our catalog you are sure to find a puzzle system that you love.